In the mid-1980s, Bernard Schutz came up with a new solution to one of astronomy’s oldest problems: how to measure the distance from Earth to other objects in the cosmos. For generations, researchers have relied on an object’s brightness as a rough gauge for its distance. But this approach carries endless complications. Dim, nearby stars, for example, can masquerade as bright ones that are farther away. Schutz, a physicist at the University of Cardiff, UK, realized that gravitational waves could provide the answer. 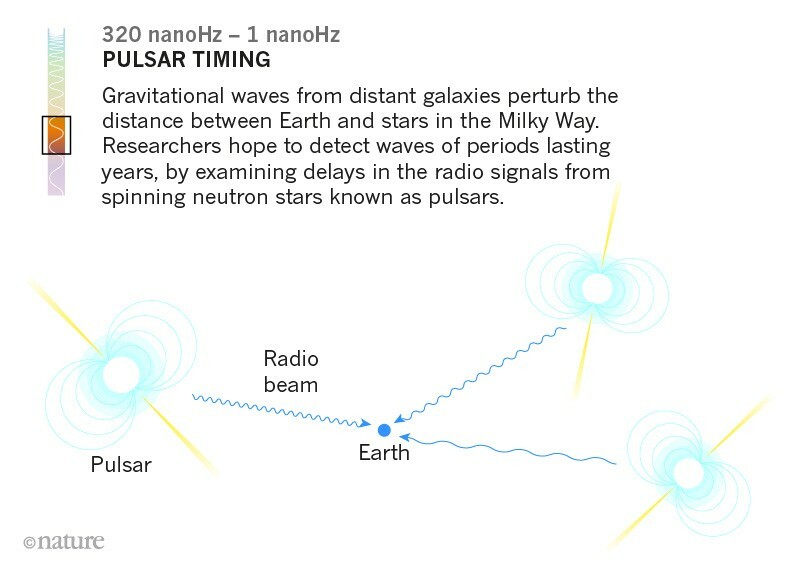 If detectors could measure these ripples in space-time, emanating from interacting pairs of distant objects, scientists would have all the information needed to calculate how strong the signal was to start with — and so how far the waves must have travelled to reach Earth. Thus, he predicted, gravitational waves could be unambiguous markers of how quickly the Universe is expanding. More mergers like that one could help researchers to resolve an ongoing debate over how fast the Universe currently is expanding. But cosmology is just one discipline that could make big gains through detections of gravitational waves in the coming years. With a handful of discoveries already under their belts, gravitational-wave scientists have a long list of what they expect more data to bring, including insight into the origins of the Universe’s black holes; the extreme conditions inside neutron stars; a chronicle of how the Universe structured itself into galaxies; and the most-stringent tests yet of Albert Einstein’s general theory of relativity. Gravitational waves might even provide a window into what happened in the first few moments after the Big Bang. 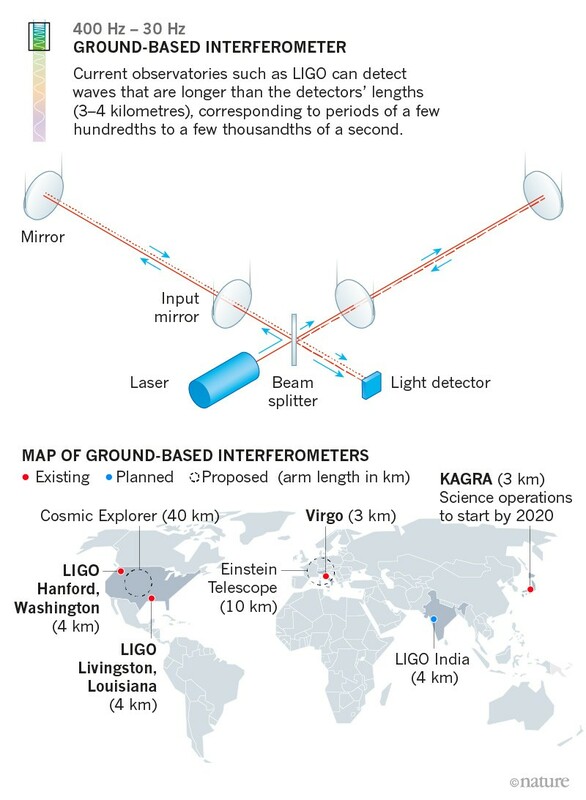 Researchers will soon start working down this list, with the help of the US-based Laser Interferometer Gravitational-Wave Observatory (LIGO), the Virgo observatory near Pisa, Italy, and a similar detector in Japan that could begin making observations next year. They will get an extra boost from space-based interferometers, and from terrestrial ones that are still on the drawing board — as well as from other methods that could soon start producing their own first detections of gravitational waves (see ‘The gravitational-wave spectrum’). 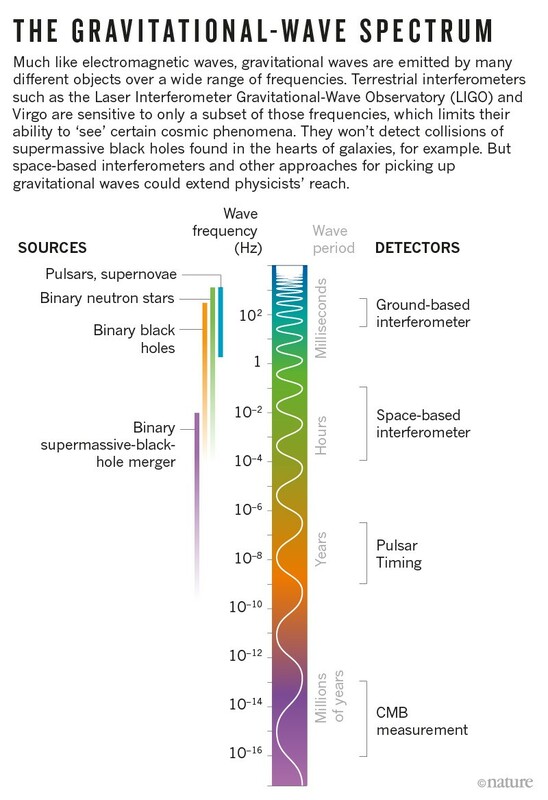 For a field of research that is not yet three years old, gravitational-wave astronomy has delivered discoveries at a staggering rate, outpacing even the rosiest expectations. In addition to the discovery in August of the neutron-star merger, LIGO has recorded five pairs of black holes coalescing into larger ones since 2015 (see ‘Making waves’). The discoveries are the most direct proof yet that black holes truly exist and have the properties predicted by general relativity. They have also revealed, for the first time, pairs of black holes orbiting each other. Researchers now hope to find out how such pairings came to be. The individual black holes in each pair should form when massive stars run out of fuel in their cores and collapse, unleashing a supernova explosion and leaving behind a black hole with a mass ranging from a few to a few dozen Suns. There are two leading scenarios for how such black holes could come to circle each other: they might start as massive stars in each other’s orbit, and stay together even after each goes supernova. Or, the black holes might form independently, but be driven together later by frequent gravitational interactions with other objects — something that could happen in the centres of dense star clusters. Either way, the objects’ energy gradually disperses in the form of gravitational waves, a process that pulls the pair into an ever tighter and faster spiral, eventually fusing into one more-massive black hole. Ilya Mandel, a theoretical astrophysicist at the University of Birmingham, UK, says that for LIGO and Virgo to see such pairs merge, typical black holes need to have started their mutual orbit separated by a distance of less than one-quarter that between Earth and the Sun. “If you start out with the two black holes any farther apart, it will take longer than the age of the Universe” for them to merge, Mandel says. The five black-hole mergers discovered so far are not sufficient to determine which formation scenario dominates. But in an August analysis of the first three detections, a group including Mandel and Will Farr, a theoretical astrophysicist and LIGO member at the University of Birmingham, suggested that just ten more observations could provide substantial evidence in favour of one scenario or the other1. This would involve scrutinizing the gravitational waves for clues about how black holes rotate: those that pair up after forming independently should have randomly oriented spins, whereas those with a common origin should have spin axes that are parallel to each other and roughly perpendicular to the plane in which they orbit. Further observations could also provide insight into some of the fundamental questions about black-hole formation and stellar evolution. 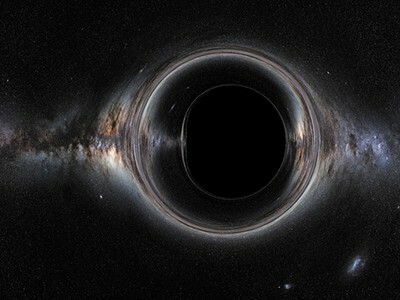 Collecting many measurements of masses should reveal gaps — ranges in which few or no black holes exist, says Vicky Kalogera, a LIGO astrophysicist at Northwestern University in Evanston, Illinois. In particular, “there should be a paucity of black holes at the low-mass end”, she says, because relatively small supernovae tend to leave behind neutron stars, not black holes, as remnants. And at the high end — around 50 times the mass of the Sun — researchers expect to see another cut-off. In very large stars, pressures at the core are thought eventually to produce antimatter, causing an explosion so violent that the star simply disintegrates without leaving any remnants at all. These events, called pair-instability supernovae, have been theorized, but so far there has been scant observational evidence to back them up. To ramp up these observations, LIGO and Virgo have plans to improve their sensitivity, which will reveal not only more events, but also more details about each merger. Among other things, physicists are eager to see the detailed ‘ringdown’ waves that a post-merger black hole emanates as it settles into a spherical shape — an observation that could potentially reveal cracks in the general theory of relativity. Having more observatories spread around the globe will also be crucial. KAGRA, a detector under construction deep underground in Japan, might start gathering data by late 2019. Its location — and, in particular, its orientation with respect to incoming waves — will complement LIGO’s and Virgo’s, and enable researchers to nail down the polarization of the gravitational waves, which encodes information about the orientation of the orbital plane and the spin of the spiralling objects. And India is planning to build another observatory in the next decade, made in part with spare components from LIGO. An even bigger trove of discoveries could come from observing neutron-star mergers. So far, researchers have announced only one such detection, called GW170817. That signal, seen last August, was almost certainly the most intensely studied event in astronomy’s history. And it solved a number of long-standing mysteries in one stroke, including the origin of gold and other heavy elements in the Universe2, as well as the cause of some γ-ray bursts3. Further observations could allow scientists to explore the interiors of these objects. Neutron stars are thought to be as dense as matter can possibly be without collapsing into a black hole, but exactly how dense is anybody’s guess. No laboratory experiment can study those conditions, and there are dozens of proposals for what happens there. Some theories predict that quarks — the subatomic components that make up protons and neutrons — should break free from each other and roam about, perhaps in superconducting, superfluid states. Others posit that heavier, ‘strange’ quarks form and become part of exotic cousins of the neutron. Pinning down the radii of neutron stars might allow physicists to evaluate the theories, because they predict different ‘equations of state’ — formulae that link pressure, temperature and density of matter. Such equations determine to what extent matter can be compressed, and so how wide or narrow a neutron star will be for a given mass, and how massive such stars can get. The 100-second-long signal in August eventually became too high in pitch for LIGO and Virgo to detect, which prevented the observatories from seeing the two neutron stars’ final moments, when they should have deformed each other in ways that would have revealed their size and hardness, or resistance to compression. Still, says B. S. Sathyaprakash, a LIGO theoretical physicist at the Pennsylvania State University in University Park, from that one event, “we can rule out equations of state that allow neutron-star sizes larger than 15 kilometres in radius” — a figure that is consistent with other measurements and favours ‘softer’ matter. Future detections — and detectors — will give much more detail. Sathyaprakash says that the Einstein Telescope, a possible next-generation observatory dreamed up by a team in Europe, could take physicists far beyond an upper limit. “We want to be able to pin down the radius to the level of 100 metres,” he says — a precision that would be astounding, given that these objects are millions of light years away. Signals similar to GW170817, which was observed through both gravitational waves and light, could have dramatic implications for cosmology. Schutz calculated in 1985 that the frequency, or pitch, of waves from spiralling objects, together with the rate at which that pitch increases, reveals information about the objects’ collective mass4. That determines how strong their waves should be at the source. By measuring the strength of the waves that reach Earth — the amplitude of the signal actually picked up by interferometers — one can then estimate the distance that the waves have travelled from the source. All other things being equal, a source that is twice as far, for example, will produce a signal half as strong. 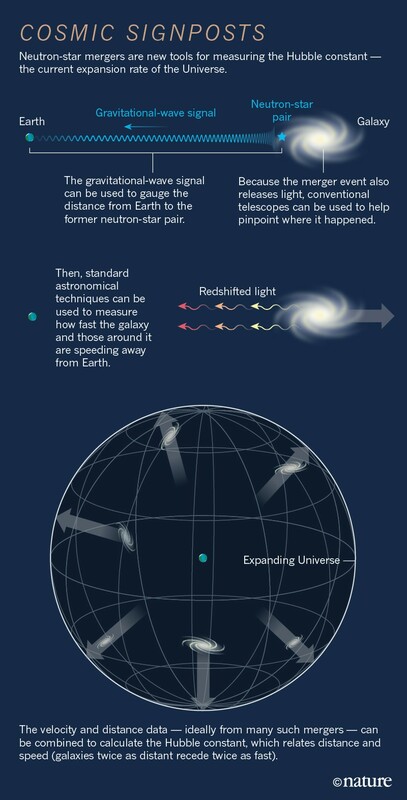 This type of signal has been dubbed a standard siren, in a nod to a common method of gauging distances in cosmology: stars called standard candles have a well-known brightness, which allows researchers to work out their distance from Earth. By coupling the distance measurement of GW170817 with an estimate of how fast the galaxies in that region are receding from Earth, Schutz and his collaborators made a new and completely independent estimate of the Hubble constant — the Universe’s current rate of expansion (see ‘Cosmic signposts’). The result5, part of a crop of papers released by LIGO, Virgo and some 70 other astronomy teams on 16 October, “ushers in a new era for both cosmology and astrophysics”, says Wendy Freedman, an astronomer at the University of Chicago in Illinois who has made highly precise measurements of the Hubble constant, using time-honoured, but less-direct, techniques. As a direct and independent measure of this constant, standard sirens could help to resolve a disagreement among cosmologists. State-of-the-art techniques, refined over nearly a century of work that started with Edwin Hubble himself, now give estimates that differ by a few per cent. This first standard-siren measurement does not resolve the tension: the expansion rate it predicts falls somewhere in the middle of the range and, because it is based on just one merger event, has a large error bar. But in the future, researchers expect standard sirens to nail down the Hubble constant with an error of less than 1%. So far, standard candles have done it with precisions of 2–3%. 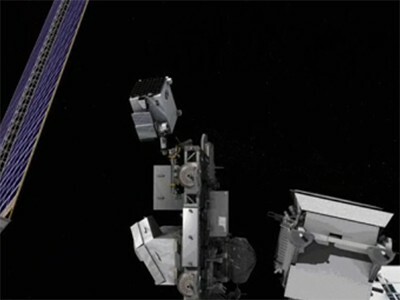 Standard sirens could become even more powerful tools with space-based interferometers such as the Laser Interferometer Space Antenna (LISA), a trio of probes that the European Space Agency, which is leading the mission, plans to launch in the 2030s. LISA is designed to be sensitive to low-frequency waves that ground-based observatories cannot detect. This would give it access to more-massive systems, which radiate stronger gravitational waves. In principle, LISA could pick up sirens from across the Universe and, with the help of conventional telescopes, measure not just the current rate of cosmic expansion, but also how that rate has evolved through the aeons. Thus, LISA could help to address cosmology’s biggest puzzle: the nature of dark energy, the as-yet-unidentified cosmic component that is driving the Universe’s expansion to accelerate. 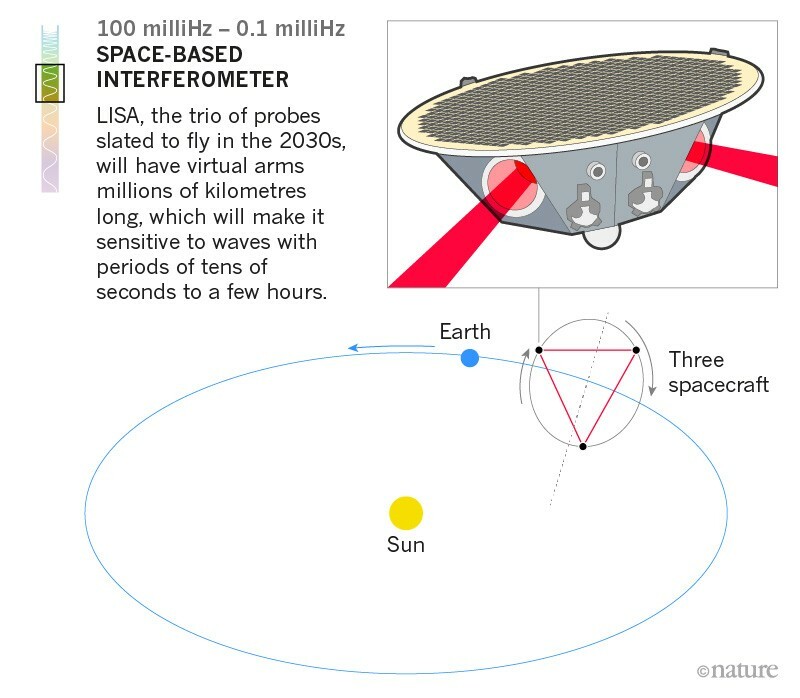 Whereas ground-based interferometers detect events that are brief and far between, LISA is expected to hear a cacophony of signals as soon as it turns on, including a constant chorus of tight binary white dwarfs — the ubiquitous remnants of Sun-sized stars — in our own galaxy. “It’s as if we lived in a noisy forest, and we had to single out the sounds of individual birds,” says astrophysicist Monica Colpi of the University of Milan–Bicocca in Italy, who is part of a committee setting the mission’s science goals. Occasionally, LISA should see black-hole mergers such as the ones LIGO does, but on a much grander scale. Most galaxies are thought to harbour a central supermassive black hole that weighs millions, or even billions, of solar masses. Over a scale of billions of years, galaxies might merge several times; eventually, their central black holes might merge, too. These events are not frequent for individual galaxies, but because there are trillions of galaxies in the observable Universe, a detectable merger should occur somewhere at least a few times per year. Scientists are also pursuing a separate way of detecting gravitational waves from pairs of these behemoths at earlier stages of their orbits. Using radio telescopes, they monitor pulsars inside the Milky Way and look for small variations in their signals, caused by the passage of gravitational waves through the galaxy. Today, there are three ‘pulsar-timing arrays’, in Australia, Europe and North America, and a fourth forming in China. Thanks to LISA’s planned sensitivity, and the strong signals produced by spiralling supermassive black holes, the observatory should be able to pick up gravitational waves from pairs of supermassive black holes months before they merge, and see the merger in enough detail to test general relativity with high precision. After years of operation, LISA could accumulate enough distant events for researchers to reconstruct the hierarchical formation of galaxies — how small ones combined to form larger and larger ones — in the Universe’s history. On the ground, too, physicists are beginning some “grand new ventures”, Weiss says. A US team envisions a Cosmic Explorer with 40-kilometre detecting arms — 10 times as long as LIGO’s — that would be sensitive to signals from events much farther away, perhaps across the entire observable Universe. The concept for the Einstein Telescope in Europe calls for a detector with 10-kilometre arms arranged in an equilateral triangle and placed in tunnels 100 metres or so underground. The quiet conditions there could help to broaden the observatory’s reach, to frequencies one-tenth those detectable by current machines. That might allow scientists to find black holes beyond the range thought to be prohibited by pair-instability supernova; at high enough masses, stars should have a different collapse mechanism and be able to form black holes of 100 solar masses or more. If scientists are lucky, gravitational waves might even let them access the physics of the Big Bang itself, at epochs that are not observable by any other means. In the first instants of the Universe, two fundamental forces — the electromagnetic force and the weak nuclear force — were indistinguishable. When these forces separated, they might have produced gravitational waves that, today, could show up as a “random hiss” detectable by LISA, Schutz says. 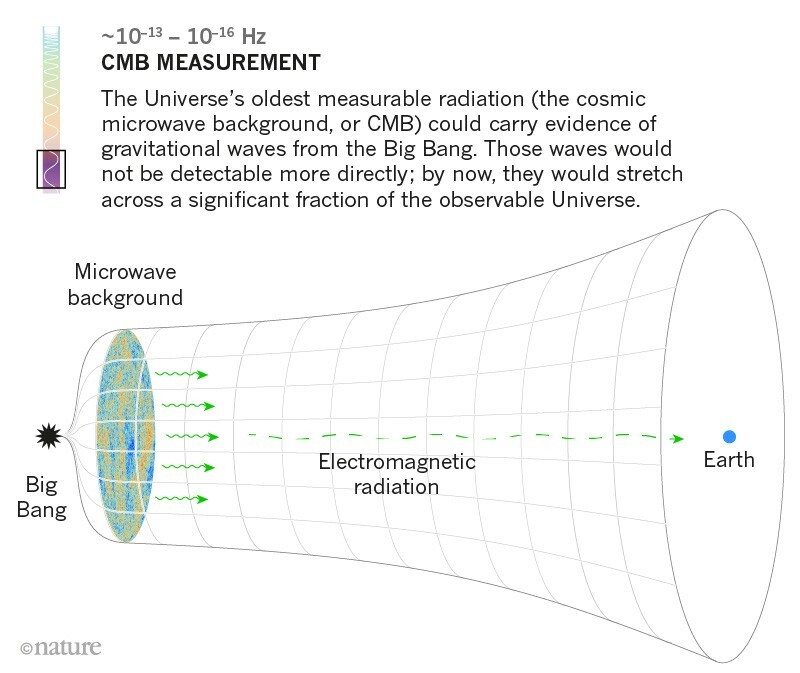 This hypothetical signal is distinct from a much longer-wavelength one from even earlier on, which might appear in the Universe’s oldest visible radiation: the cosmic microwave background. 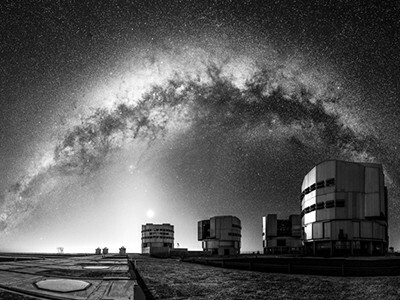 In 2014, a team reported6 that it had observed this effect with the BICEP2 telescope at the South Pole, but the researchers later acknowledged problems with that interpretation7. Correction 13 June 2018: An earlier version of this article incorrectly described Ilya Mandel as a LIGO theorist. Farr, W. M. et al. Nature 548, 426–429 (2017). Goldstein, A. et al. Astrophys. J. Lett. 848, L14 (2017). Schutz, B. F. Nature 323, 310–311 (1986). The LIGO Scientific Collaboration and The Virgo Collaboration et al. Nature 551, 85–88 (2017). Ade, P. A. R. et al. Phys. Rev. Lett. 112, 241101 (2014). Ade, P. A. R. et al. Phys. Rev. Lett. 114, 101301 (2015).